Jews have lived in many countries, including the Middle East, the Americas, Europe and elsewhere. Wherever Jews have lived, they have always eaten local foods, selecting ingredients and creating dishes to comply with the requirements of "halakha" (the body of interpretation of Jewish religious law) - "kosher" means foods (and food preparation practises) that are in keeping with Jewish dietary laws. Perhaps best-known in North America are those Jewish dishes which originated in, and were influenced by, eastern European cuisine, but every Jewish community - Ashkenazic, Sephardic, Yemenite, Italian and others - has met the requirements of Judaism in its own way and with its own cuisine. Baba ghanoush - Mashed eggplant with various seasonings. 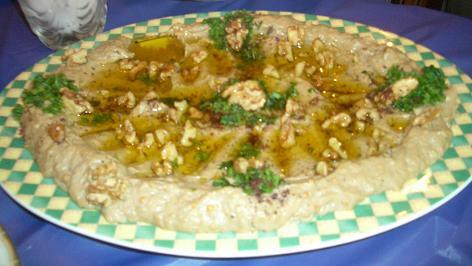 In Israel, it is made from mashed grilled eggplant with tahini or mayonnaise. 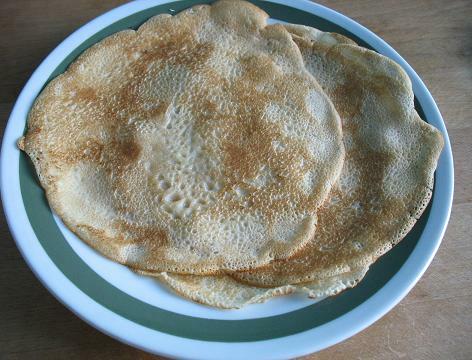 Blintz - Thin pancakes stuffed with a cheese filling, and then fried in oil. They are eaten on Jewish holidays such as Hanukkah and Shavuot. Borscht - Vegetable soup made from beetroot. 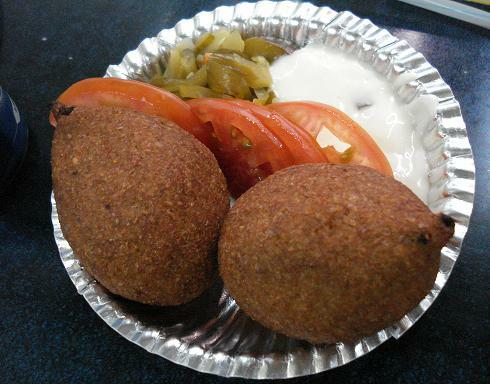 Falafel - A fried ball made from chickpeas or fava beans. 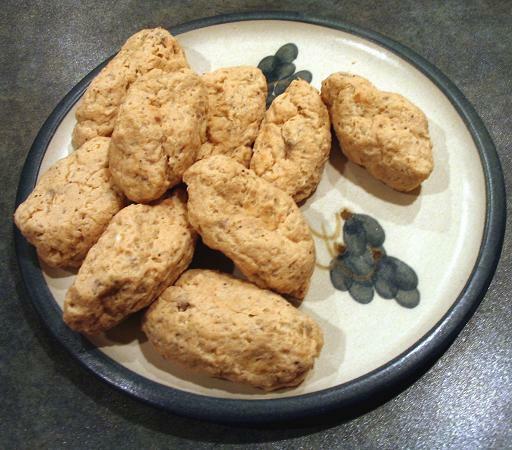 Gefilte fish - Poached fish patties, usually made from carp. Israeli salad - Finely diced tomatoes and cucumbers, dressed with olive oil and lemon juice. Kibbeh - A shell made from bulgar wheat, stuffed with ground lamb and fried. Kugel - A baked dish made from egg noodles or potatoes and eggs. Knish - Baked or fried dough stuffed with cheese, ground meat, mashed potato, onions, or sauerkraut. Kreplach - Small stuffed dumplings. They are typically stuffed with ground meat or mashed potato, cooked by boiling, and served with chicken soup. Jachnun - A traditional dish of Yemenite Jews. It is rolled dough baked on a low heat for many hours, which is eaten with hard-boiled eggs, tomato dip, and skhug (a hot sauce made from peppers and spices). Lox - A cured salmon fillet. Matzah ball - Balls made from ground matzah (a Jewish flatbread), and chicken fat (schmaltz). The balls are often eaten in chicken broth as matzah ball soup. Pastrami - Raw beef, salted, dried and seasoned with various herbs and spices. Shlishkes - Dumplings made from mashed potato, egg, flour and water. The dumplings are cooked by boiling and then rolled in sugar and hot buttered caramelized breadcrumbs. Tzimmes - Diced carrots with dried fruits (prunes or raisins) and chunks of meat. The dish is cooked slowly and flavored with cinnamon and honey. Vareniki - Dumplings stuffed with cabbage, cheese, hard-boiled eggs, mashed potatoes, meat or sauerkraut. Vorschmack - A salty meat dish made from ground meat, anchovies or herring, and onions. It is usually garnished with salty pickles.